Is all East facing shops are good? Can we get east facing shop Vastu plan? 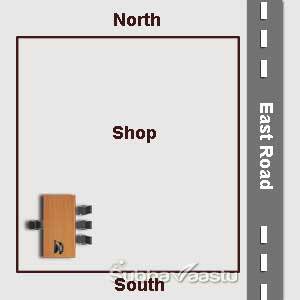 Where can we get east facing shop Vastu Tips? Some say East is not suitable for cloth shop, is it true? Where should we keep cash counter in our east facing shop? Where exactly we need to keep the door for East facing shops? How does our east facing shop business if we take only East shop? Where should we sit in the East facing shops? Which place is suitable? Likewise, people asking questions to Vastu Pandits. We tried our level best to provide answers to all the above questions below. Before answering the above questions, need to know some thing about this chapter. East is also called as Poorva or Purva. East direction is ruled by Indra. This East direction is in between Northeast and Southeast. East shows 90° in the compass. Some investors hurried to take the East facing shops. Don't take any such hurry decisions, cool, take the decisions slowly. 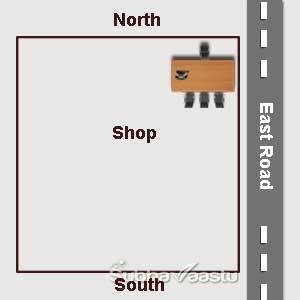 We published some information on this East facing shops Vastu, this info may be useful for hurry people. Please note that not "all" East facing shops are lucky. Choose only the best out of available East facing shops. Like East facing shops, we provided a lot of data on East direction house in this East facing house vastu link. There are many secrets we need to find out in Vastu Shastra. We have to research them and implement on our properties to get peace. Some residents never check any other things if they got East facing shops, they pay an advance amount to the builder or owner immediately without Vastu Consultant advice. This is the wrong idea. The owner has to sit at Southwest part of the East facing shop and his face towards East direction, this is a suitable place. If shopkeeper needs to keep his Cashbox at Southwest corner then he has to sit after this cash chest at West location immediately after this cash box facing towards East direction. Here the cash box should face towards North only. In case if the owner cannot sit at Southwest or West direction, then he may sit at South direction. If there is no possibility to sit at South direction too, then he may finally sit at Southeast direction. We need to know one thing. If the shop is 10 feet by 20 feet (10X20) and there is huge stocks to place there, then he cannot sit at Southwest direction. In such case, he has to sit at Southeast direction only. How to do good business, in this Business vastu link we given some vastu business secrets. Northeast direction is not suitable to sit. This is the last and least place to sit. In some situation, the owner has to sit only at Northeast location, because there is full of stocks in the shop. This is natural. We cannot comment on their decision. This may be a convenient place for them. As we discussed earlier convenience is the most important than Vaastu. This is some what important point in some concerns. Northwest direction is not a suitable place for East facing shops. North direction is also not a suitable place to sit in East facing shops. Sitting in Brahmasthan is also not advisable. But this area is better than sitting in the Northeast corner sitting. Here please observe the blink at West direction. This blinking portion is floor elevated portion of the shop. If you made height at west direction, then your business will also improves, you will face the competition, but in the same way you will get good business and turnover. If turnover raises you will get profits automatically. Every shop keeper needs turnover and on the same way he is expecting profits. West elevation is securing your ideas, assets, profits, standards, and peace. Further, it provides security from your competitors. Nowadays, there is cut-throat competition, that we cannot expect in the market. Everywhere society is facing this huge competition. Here the owner arranged his table at Southwest direction. This is a safe method. Here owner is facing towards East direction and the customers or other people will be facing towards West Directions. When the floor is elevated as shown in the above image and owner sits at this place (Southwest corner) and there is open space at East direction and door is not at Eastern-Southeast area, then he will get peace in this shop. He got good business and having sufficient funds with him. Money flow will be heavier and the money which stays cannot go out easily. He procures good name in his community people. Having high respects in business communities and society. All these techniques are simple to follow, but don't forget to check your house vastu, otherwise may not be easy to reach the expected results. Here owner sits at Northeast corner of the east facing shop. We will discuss two points here. One is if sits at Northeast corner and facing towards South direction then he has to face some critical problems in his business. He may get the blame in his business, has to face lot of competition and debts may be increased. If there is no stocks in the shop, then his position will be furthermore critical. If there is full of stocks then he will be saved. Coming with the second point. If owner sits in Northeast corner and facing towards East direction, and there is full of stocks in the shop, then no problem, if there is no stocks, then he has to face some issues in his business. If the North side shop has the extended wall for their Southeast, it means, that wall will be the Northeast-north wall for owner. If in such case, his problems will be further increased. He has to face insecurity in that premises. Generally, in all shops owner may not sit at Southwest corner, because of keeping stocks. He cannot keep the stocks at East, North and Northeast and cannot sit at Southwest, this may be ugly look and talk of the town too. What ever the vastu, people may laugh on him by seeing the situation. If there is stocks in the shop and owner sits at Southwest corner, how customers and other people see owner. So the next best place in East facing shops is Southeast sitting. While sitting at Southeast facing then owner face is towards North if it's not possible then he has to face towards East direction. As we discussed earlier convenience is most important than vastu in some cases. If there is stocks in the shop, then owner has to occupy the Southeast corner, facing towards North direction. If there is no stocks then owner best place is Southwest corner facing towards East direction. We accept that East facing shop is good in vastu. If there is a road at South direction and East direction, this shop is still called as East facing only. But this could not yield expected results what the actual East facing shop owner procuring. In case, if there is more open space at West direction, at this moment also East facing shop owner cannot expect good results, if that backyard open space is heavier, then he has to face many financial problems including huge debts. Has to face uncontrollable situations. If there is water well at South direction immediately after this shop, then also owner cannot expect good results, maybe he has face losses in his business. If there is water canals, water bodies, water wells, huge pits etc at West direction, at this moment also owner cannot get any good results. If there is huge building at North direction and no construction at South direction, in such situations also owner cannot see profits. Maybe short periods he may enjoy profits, but finally, he lost his confidence too including money. If the shop has an eastern-Southeast entrance, the owner may face some Government related issues. Like income tax ridings, sales tax ridings etc. Raids may be common if the shop has Eastern southeast door and water bodies at West direction. Not only this, if the shop has Eastern-Southeast street focus and water bodies at South direction, then regular raids may be common to this shop and he may face many financial problems including taunting in his business community. Greetings, I have one East facing kids & newborn clothing & accessories shop. It is a very pleasant vastu but I am facing financial issues due to poor sales. I read your article on vastu for shops n realized that my neighboring shop has extended towards North due to which my Northeast energy is blocked. I have followed your vastu tips & have placed things accordingly, but not getting how to correct that Northeast barrier from my neighbor's shop. Since I am a tenant I cannot extend my East side to come in line. Kindly suggest any vastu remedy for this. Many vastu people says that East is the best to have more energy and enlight, but in my case a small outside impact makes my business utterly failure, what to do to come out from this horrible situation, monthly expenditure is crossing beyond my expectation, in worst case all comes to more than 50000 rupees, your articles on vastu opened my eyes now - Regards - Radhika - Mumbai. Which place is better to do trading business? Door for my backyard is creating any problems? Vastu consultant in Cheyenne, need vastu advice? Is island in Kitchen is good as per vaasthu shastra? Best placements to place my car parking as per vastu? Require to know some thing on Bathroom/Toilets Vastu? Is vastu shastra helps to increase interest kids education? I have just acquired a new shop space for accessories business; mostly jewelry and watches. Both of economic value (not very expensive). It is located in an up coming market that has yet to develop to its full potential. The shop is facing east, and it has two steps on the entrance. We have performed a pooja and are still working on the decoration of the shop. Can you please guide me on basic placements of the following? : Mandir, Cash counter, small water fountain, owner sitting and a small section of best selling items. Respected Sir My photo studio is at east Facing south door. how to set with Owner chair & my system, printer & furniture work of cash counter also so i needed the suggestion of your experts. please send the details as early as possible thanking u.
I am going to start bank kiosk, the shop is east facing rectangle. But there is a tree in front of that shop. Plz let me know the remedies. I have shop having 22' front facing East and 4' back (West Direction) both side 35'wall (one side North) out of one wall towards South direction is of at the 90 degree and I built a Bathroom towards West direction at the end. Pl advice me to make this shop as per perfect vastu. respected sir my computer shop is at east facing how to set it with owner chair and heavy material xerox machines and furniture work of cash counter also so i needed the suggestion of your experts. please send the details as early as possible thanking you. respected sir my computer shop is at east facing how to set it with owner chair and heavy material xerox machines and furniture work of cash counter also so i needed the suggestion of your experts. please send the details as early as possible thanking you.